Presuppositional apologetics has been a passion of mine for a few years now. Ever since I was exposed to Greg Bahnsen's worldview lectures I've been reading, listening, and watching everything I can get my hands on regarding the topic. 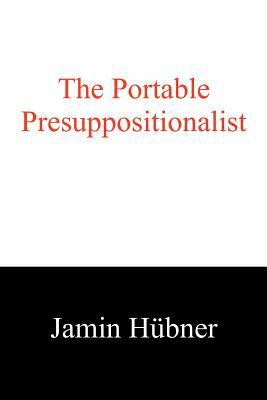 That process recently brought me to Jamin Hubner's book The Portable Presuppositionalist. After finishing Hubner's work I came to the conclusion that it was specifically intended for me and people like me---people passionate about the subject. Although I did not find any new information (regarding the apologetic method), or even clarifying details as to how to explain or understand presuppositional apologetics, I did find two fascinating things: 1) An academic, historical, and meta-apologetic (meaning the theology of apologetics) discussion on Presuppositional apologetics, and 2), some practical examples of how one can apply this method in debate settings via transcripts of various debates. For those who are still struggling to understand presuppositional apologetics, or who frankly don't care about the history behind how we ended up with this method, this book is probably not for you; but if, like me, you long to dive full force into the depths of history to uncover the richness of what makes Presuppositional apologetics the only method for biblical Christians, I'm sure you will be blessed and entertained!